At Hunnarshala, we are working towards creating buildings almost exclusively recycling the construction waste of our cities. 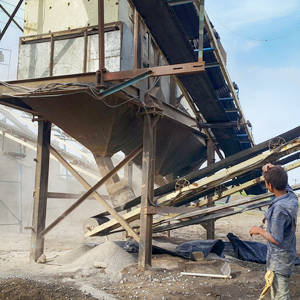 So we make walls with industrial waste like levigated clays/silts from china clay and tile factories, we use the stone dust from cutters where aggregate is made for roads or where building stone is cut. We use fly-ash waste from power plants and now have decided to see how to recycle the construction demolition. As a civil engineer from a community of builders, I wanted to do something responsible and decided to focus on research and production of blocks from this waste. 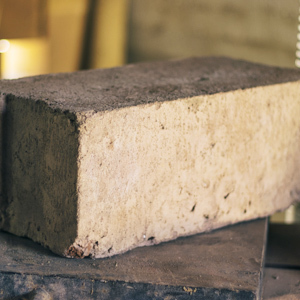 The challenge is to develop a strong block with the minimum of high-energy materials like cement and make it cost competitive vis-a-vis regular construction materials in the city. Categorized the waste generated in the city to understand how it used and dumped. Research on making blocks using a variety of binders and strengthening agents including lime, soil and cement. Survey the market to see which small scale machinery can be adapted to crush demolition waste and create cost effective blocks. Train a group of entrepreneurs to lead production and marketing of these blocks. 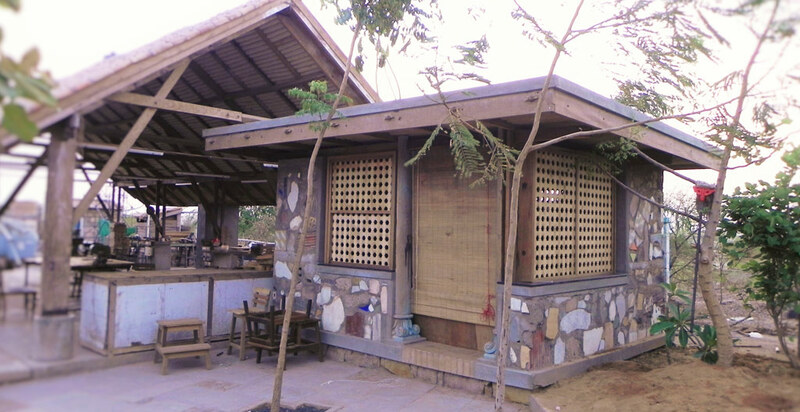 Construction and demolition waste consist non-biodegradable material such as concrete, metal, plaster, wood, etc. generated wherever any construction or demolition activity takes place. One could see huge piles of such waste from small generators like individual house construction or demolition find its way into the nearby municipal bin/waste storage depots, making the municipal waste heavy and degrading its quality for further treatment like composting or energy recovery. Huge piles of such waste stalked on roads especially in large projects resulting in traffic congestion and disruption. It also causes nuisance whenever a strong wind blows. 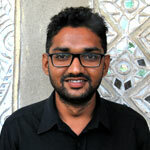 Information available with Ministry of Urban Development reveals that construction waste industry in India generates about 10-12 million tons of waste annually. Projections for building material requirement of the housing sector indicate a shortage of aggregate to the extent of about 55,000 million cubic meters. 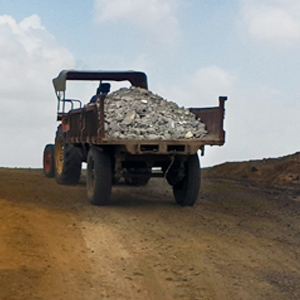 An additional 750 million cubic meters aggregate would be required for achieving the targets of the road sector. 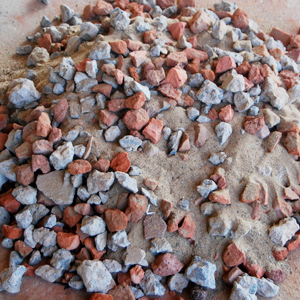 Recycling of aggregate material from construction and demolition waste may reduce the demand-supply gap in both these sectors. 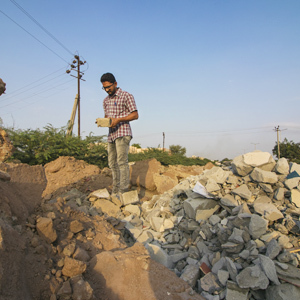 Bhuj city also consists huge piles of construction waste along the bye-pass and roads leading from city to outside. A large proportion of this waste is result of massive earthquake in 2001. 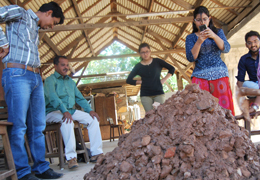 This fellowship aims to find-out appropriate technological solution to recycle these huge piles and come-up with cheap and durable blocks. This technology may help to reduce construction cost generally and particularly to families whose houses are built under PMAY HFA- 2022. First stage has almost been completed. The main identified places having construction waste in the city are Bhujiyo Hill, Opposite Leva Patel Hospital, and Vijay Nagar etc. Estimation of quantity and lab testing of waste is on-going. 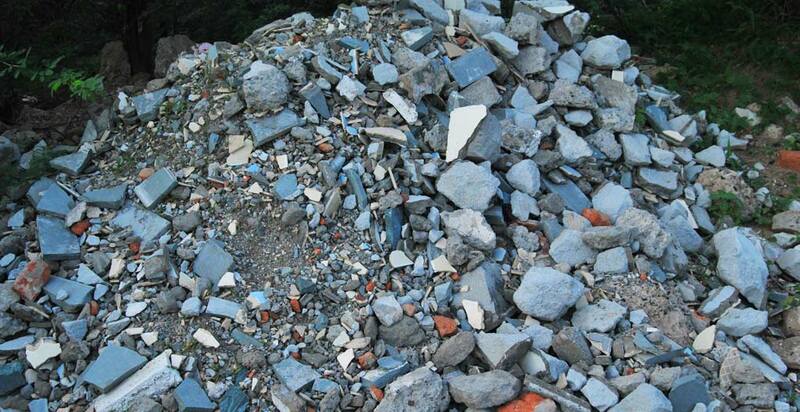 Identification of places where a considerable amount of construction waste is lying. Estimate the amount of construction waste in the city. Lab testing of waste, in order to know its potential for recycling. 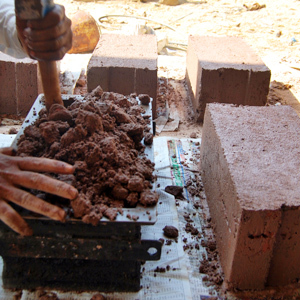 Hunnarshala have method and process for recycling of construction waste and make blocks. 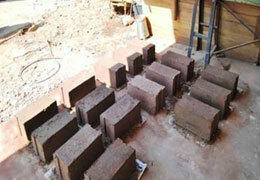 In fact, they made blocks from construction waste by manual process. 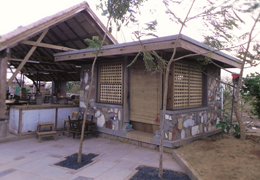 Photos showing processing of construction waste, prepared blocks and a structure built by those blocks. But production at large scale and cheap blocks in comparison to blocks available in the market, is only possible if machines for crushing, screening, mixing and shaping in desired forms will be used. However, machines are available in the market to do this work on large scale but it is very expensive and it might not be useful for the quantity of waste available in the city. This will increase cost of the blocks too that defeat the purpose of making low cost, durable construction blocks. Hence, exploring appropriate technology to do this work at small scale is on-going. After having an appropriate technological solution for Bhuj city, people will be trained and entrepreneurship will be created to carry-out this work on sites.